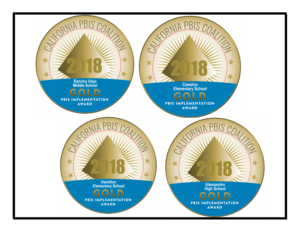 California PBIS Coalition recognized Hemet schools for their progress in creating multi-tiered systems of support for all students. The first day of school is August 13, 2018! Community Eligibility Provision (CEP) offers all students a free breakfast and free lunch meal. Households are not required to complete a meal application. An additional 45 HUSD students were recognized as part of the 2018 graduating class! 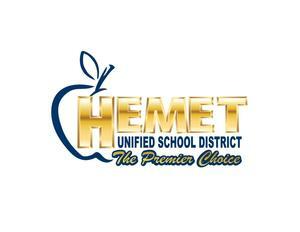 Students from Hemet and San Jacinto were announced as Students of the Year. Children 18 years or younger can receive breakfast and lunch at no charge at participating school sites. Congratulations to Second Lieutenant Aaron McCullom, first Active Duty Officer from Tahquitz High School! We all know the saying that "it takes a village to raise a child", and everyone has had a part to play in the success story of Aaron McCullom. 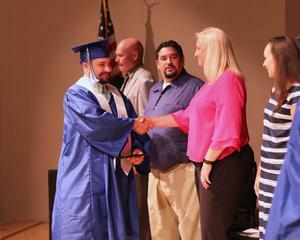 Four years ago, Aaron won a $180,000 Scholarship from the United States Marine Corps and with the help of our counselors attended the University of New Mexico. This past weekend, I received the honor of promoting Aarron to the rank of Second Lieutenant. This achievement goes into our history books as he is now our first Active Duty Officer from Tahquitz. Aarron is the third officer on the right in the picture.